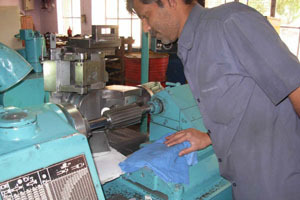 Jainex Aamcol have developed sophisticated production techniques for manufacturing a wide variety of specially designed gear cutting tools and other special tools. 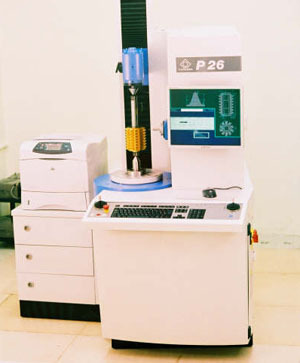 The machines and equipments used in production are of the highest precision and are imported from Germany. The ability to design gear cutting tools required much specialists' knowledge which has been acquired and built upon at Jainex Aamcol through long experience and research. 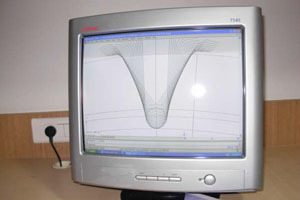 To meet the demands of critical designs and to create new designs, we have installed computer aided design (CAD). CAD has proved successful in its ability not only to produce working drawings, design data and graphs, but also enables to generate the gears by designed hobs. It is also possible to design hobs for cutting non-standard or asymmetric tooth profiles. Quality control is an integrated aspect of all stages of production, from receipt of materials through soft machining, heat treatment and all subsequent stages of manufacture. In all stages of manufacture, each tool is rigorously inspected for its every element with design and accuracy specifications. Special high precision machinery and instruments are used to check involute, lead, pitch helicoidal forms and other elements. Tools of highest accuracy (better than class AA DIN3968) can be inspected. Graphical records are produced by electronic recording instruments and are preserved for several years. A complete inspection report is furnished to the client with each tool.